Bernardo Vaz Lobo Teixeira de Vasconcelos was a Benedictine monk, mystic, poet, and authored Cântico de Amor. Studied at the University of Coimbra and there was part of the Saint Vincent de Paul Society which did works of evangelization and charity especially with the poor. Likewise, he was devoted to regular eucharistic adoration. Professionally, he was an editor of the journal which studied democracy. 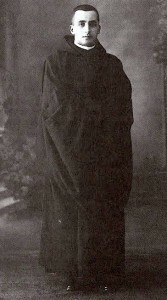 Bernardo was born in São Romão Corgo (Celorico de Basto), Portugal, on July 7, 1902. 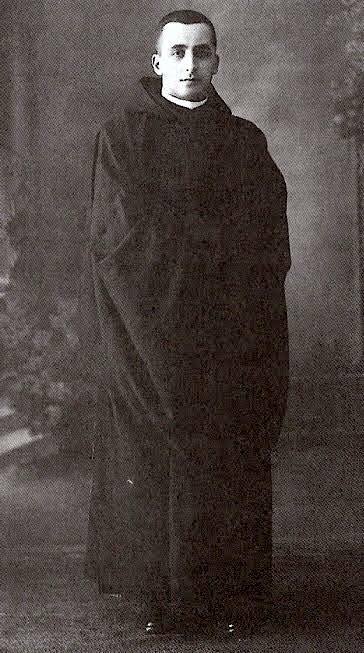 He discerned a call to the monastic life and entered the Monastery of Singeverga on 16 August 1924 and professing vows in September 29, 1925. His name in religion was Brother Bernardo da Anunciada. The superior sent him to the Abbey of Mont-César in Beligium to study theology. He was back home in a year’s time due a diagnosis of TB. Brother Bernardo Vaz Lobo Teixeira de Vasconcelos is now honored with the title of Servant of God. In all things may God be glorified. Sister Bladina Segale, a Sister of Charity of Cincinnati, is now being studied for possible canonization. Segale who died at the tender age of 91 in 1941. The Santa Fe Archbishop Michael Sheehan is handling the cause. She is the first from New Mexico to have a cause opened. The Sister of Charity was born in Cicagna, Italy, on January 23, 1850 and died on February 23, 1941. More of what the press is saying about Sister Bladina Segale can be found here. If you are interested, you may want to find a copy of At the End of the Santa Fe Trail, a book containing the narrative and correspondence of Sister. 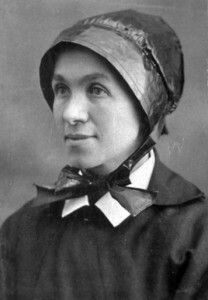 Sister Bladina joins a list many US citizens being considered for sainthood. Know, though, it could be several years before the advances since much work has to be organized and sanctity recognized. A Crisis Magazine article on Sister Bladina gives a good sense of who this woman is and her relevance for us today. Today, in Rome, the Congregation for Saints proposed to the Holy Father that after study and prayer, the Servant of God Itala Mela, laywoman and Benedictine Oblate of the Abbey of Saint Paul Outside-the-Walls (Rome), did indeed, live a life of heroic virtue. Now her cause will study possible miracles attributed to her intercession before the Throne of Grace. Itala Mela is known as the Mystic of the Holy Trinity. Mela was born to Pasquino and Luigia Bianchini on 24 August 1904 and died 29 April 1957. Mela was well acquainted with the likes of Giovanni Battista Montini, the future Pope Paul VI, Blessed Idelfonse Cardinal Schuster, OSB, and Fathers Agostino Gemelli and Divo Barsotti. 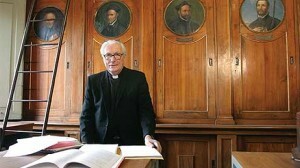 Schuster was the abbot of St Paul’s before his nomination as the archbishop of Milan. On 4 January 1933, Itala Mela professed the promises of a Benedictine Oblate of Saint Paul Outside the Walls and on 9 June she made a fourth vow of consecration to the Holy Trinity which she considered as the center of her life and mission in the Church. How providential that this recognition of Mela happens on the weekend in 2014 that we liturgically recall the dogma of the Holy Trinity! 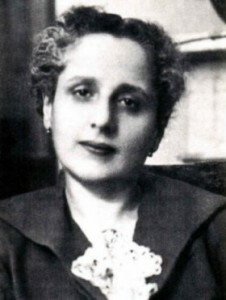 Itala Mela’s cause for sainthood was opened on 21 November 1976 and it has taken until now to advance –in God’s time– as she referred to as the Venerable Servant of God Itala Mela. Much of Mela’s life is known in Italian, but you may want to look at this website nonetheless. If you follow the process of studying candidates for sainthood you will undoubtedly know the name of Father Paolo Molinari, an Italian Jesuit. He was missioned by the Society of Jesus, since 1957, to shepherd various causes for recognition as blesseds and saints. At his death, the Society said it thinks Father Paolo brought more than 46 causes to beatification or canonization which includes more than 150 persons now honored as blessed or saints. On May 2, 2014, Father Paolo Molnari met the Lord of the Harvest; Father died in Rome. 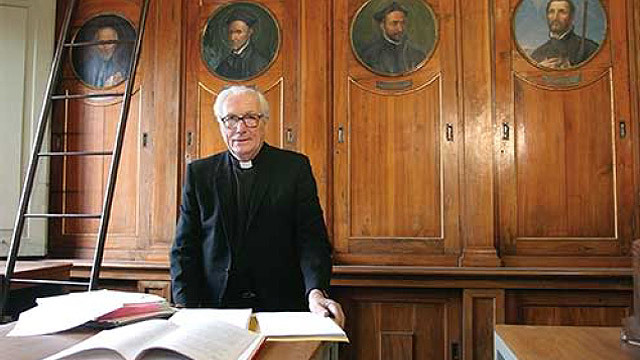 Professionally, Father Molinari served as a professor of theology at the Pontifical Gregorian University and as the president of the Vatican’s College of Postulators; he also advised the Pontiffs on technicalities of the process. 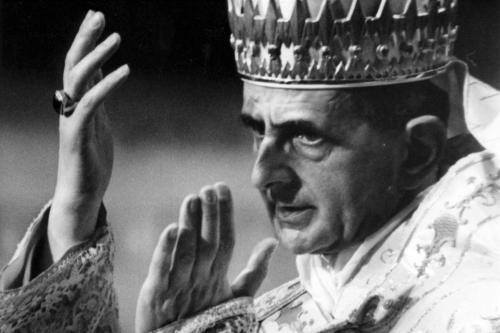 Journalists will remember that Molinari was a patient teacher of the Church’s canonization process. Here is a great–really, exceptional, interview with Father Paolo done by Salt and Light TV (March 27, 2012). May the Lord receive the soul of Father Paolo by the hands of the saints and blesseds.